The six billionaires with gaming interests in Macau again feature prominently in this year’s Hong Kong’s 50 Richest People – although their rankings have slid, with one exception. In the list compiled by Forbes magazine, just Henry Kar Shun Cheng – the chairman of the Chow Tai Fook Jewellery Group and New World Development, and who sits on the board at casino operator SJM Holdings Ltd – saw his rank increase this year. The latest list compiled by the business magazine includes Lui Che Woo (pictured), now rated the sixth-richest person in Hong Kong, having been the third-richest in last year’s ranking. 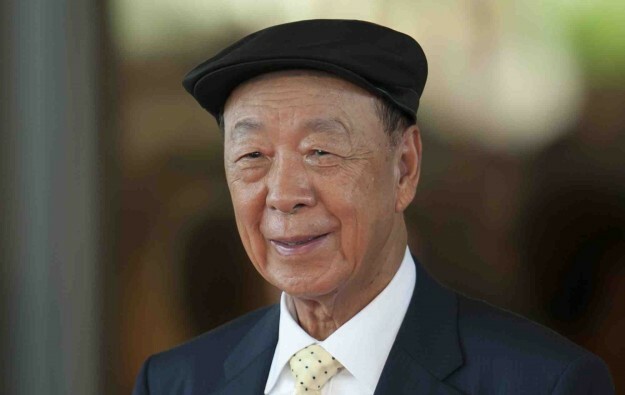 Mr Lui is the founder and chairman of Macau casino operator Galaxy Entertainment Group Ltd. Forbes calculates his net worth at US$14.8 billion. Next on the list is 20th-richest Pansy Ho Chiu King, worth US$4.62 billion. A daughter of Macau casino tycoon Stanley Ho Hung Sun, she’s the second biggest investor in Macau casino operator MGM China Holdings Ltd, and controls – via third-party companies – a big stake in SJM Holdings. She was 15th-richest last year. Falling from 22nd in 2018 to 24th this year is Angela Leong On Kei, fourth consort of Stanley Ho and an executive director of SJM Holdings. The managing director of SJM Holdings and the biggest single shareholder in the company, her worth is thought to be US$4.1 billion. In 28th place in the Forbes table of wealth, having fallen from seventh place last year, is Pollyanna Chu Yuet Wah, worth US$3.3 billion this year. Ms Chu’s family is in the casino business through its control of the Kingston Financial Group Ltd, the investor in two so-called satellite casinos: Casa Real on the Macau peninsula and Grandview on Taipa. The executive that controls Asian casino operator Melco Resorts and Entertainment Ltd, Lawrence Ho Yau Lung, has fallen to 34th place this year from 29th last year. Mr Ho is worth US$2.3 billion, falling back from US$2.6 billion in 2018. He has the honour of being the youngest billionaire on the list at age 42. Mr Cheng, whose wealth is estimated to be US$1.4 billion, is ranked 46, up from 49 last year. His business empire has sought to expand its casino interests in recent years, via involvement in projects in Vietnam, Australia and the Bahamas. The Forbes annual list is compiled using shareholding and financial information obtained from the individuals, stock exchanges, analysts and private databases.